One of the most competitive non-top flight football leagues in the world brought plenty of excitement in the first part of the season. Newcastle United and Brighton were the two sides that stood apart from the rest of the crowd, but one would be foolish to predict the Championship race for top spots and Premier League promotion is close to being over. With 24 clubs doing their best to climb up the ladder the pressure however remains on Rafa Benitez and his heavily favoured team to uphold the reputation and secure the swift return to the top tier of English football. Following the unfortunate season which resulted in Newcastle United getting relegated from the Premier League, Rafa Benitez decided to stick around and make amends by attempting to secure an immediate switch back after a year in the second division. Thing have been far from ideal as the Spaniard faced a much different competition, one he was not used to and it took some adapting for Newcastle to get the machine up and running. Having invested in summer reinforcement after losing several first-team choices to Premier League clubs, Magpies seem to have hit the jackpot with striker Dwight Gayle who is leading the team forward with incredible scoring exploits. We predict that the Championship title race will come down to the wire between Benitez’s side and Brighton, who seem to have separated themselves from the rest of the teams. With the first part of the season behind us it is becoming disturbingly clear that Rotherham United will be the first ones to be dropped further down to League One. Championship strugglers have been without a permanent manager since November and caretaker boss Paul Warne failed to shake things up as his side remains glued to the bottom with a huge gap separating them from the closest rivals. Pour prediction is that Rotherham will ultimately fail to survive the cut, whereas it remains to be seen which other two teams will join them in League One. We are prone to predict that former Premier League members Wigan, Blackburn, Cardiff, and Wolves will be competing to remain above the dropping zone. These are exciting times for all Leeds United fans who have waited long enough to see their team become proper challengers. Having finished the 2015/2016 season in 13th place in the Championship table, Leeds United are currently playing above all expectations as they sit inside the playoffs zone with fans whispering about Premier League promotion. Former Swansea City player and manager Gary Monk has been with the club since June, but the 37-year-old made an impressive impact at Elland Road. We predict Leeds United could go on to become one of the biggest surprises this season in the Championship if they manage to extend their formidable run of results. The team has seen great revival under Gary Monk and all of the predictions go in favour of the club waiting for the Premier League break for 12 years. As the year was winding down things got disturbingly bad for Blackburn Rovers, the founding member of The Football League in 1888. Ewood Park side has been going through difficult times since their 2011/2012 elimination from the Premier League, but after a 15th-place finish last term, Oven Coyle was expected to make a step forward with his team. Blackburn are trembling instead as relegations fears grow bigger at the turn of the year. Should Coyle fail to bolster his ranks properly in the January transfer market, we predict that Rovers could find themselves in real danger towards the end of the season. Another big disappointment this season definitely are Aston Villa, who are going against all predictions and odds this season steering away from the top 6 as far as possible towards the end of 2016. Newcastle United striker Dwight Gayle took the Championship by storm this season and the we predict that Magpies forward could go on to become the topscorer of the competition this season, which makes him the one to keep a close eye on. The experienced 33-year-old Brighton forward Glenn Murray has had an impressive year for the club and should be watched in the second part of the season as it will be extremely interesting to see whether the veteran forward could keep up the fine performances. Other players to keep an eye on: Danny Ward (Rotherham), Scott Hogan (Brentford), Chris Wood (Leeds), Conor Hourihane (Barnsley), Rudy Gestede (Aston Villa), Matt Ritchie (Newcastle United). 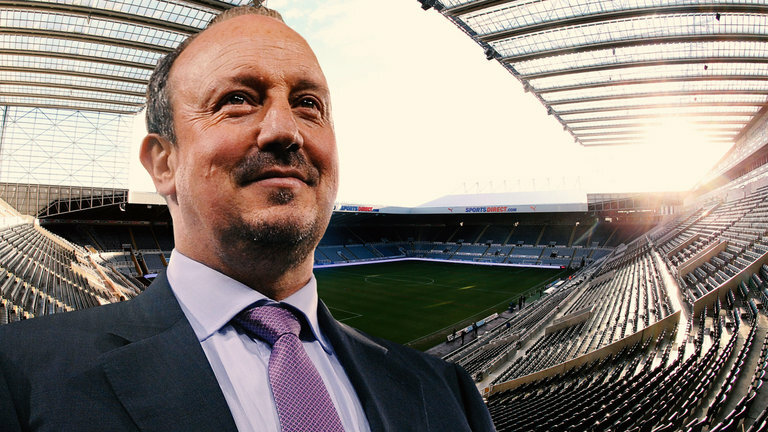 Rafa Benitez is the obvious choice as the Spaniard remains the top-profile manager in the league. He remained with Newcastle despite the early predictions which claimed he would be leaving Newcastle after the relegation and is doing fairly well to return Magpies to the top tier after just one-season break. Another one of the managers who should be closely followed in the second part of the season is definitely Gary Monk. The tactician who jumped into his managerial career straight from the field is making huge strides to prominence at Leeds United should continue to delight both fans and pundits alike and we are prone to predict bright future in front of him and his side.